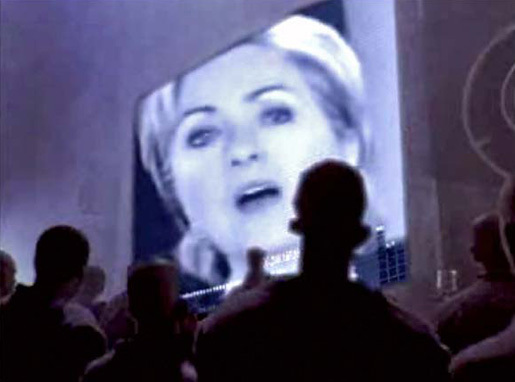 Barack Obama and Hillary Clinton inadvertently tangled with Apple and YouTube this month with the viral release of a remake of Apple’s 1984 TV ad, featuring the speeches of Clinton and a challenge to vote Obama, vote different. The ‘Vote Different’ ad, a rehash of the 1984 Super Bowl clip, was made by Democrat supporter Phil de Vellis, who up to this point has been an employee of Blue State Digital. Outed by Huffington Post, Phil came clean and owned up to the campaign. The Hillary Clinton videos are freely available on her campaign site, hillaryclinton.com. Barack Obama’s site is barackobama.com. Phil has resigned from Blue State Digital, a company that has a commitment to working with Democrat candidates, progressive institutions and corporations. The company is currently developing software and hosting for the Obama campaign while one of the founding members is on leave to work directly for the campaign.